Adam West, best known as Batman in the 1960s television series, died on June 9 at age 88. “We’re so grateful for the outpouring of love from [West’s] fans, friends, colleagues and the media,” read a tweet on West’s official Twitter account. 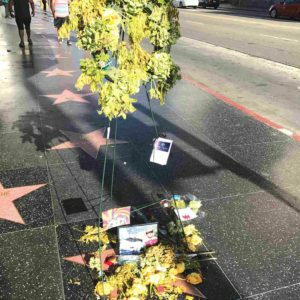 A wreath was placed on West’s star on the Walk of Fame near the intersection of Hollywood Boulevard and Highland Avenue. Younger audiences best knew West as a fictionalized character on the animated sitcom “Family Guy.” West voiced the mayor of the fictional Rhode Island city where the show takes place.